Last week we sat down with Birmingham’s Luh Soldier for an exclusive “Off The Porch” interview. 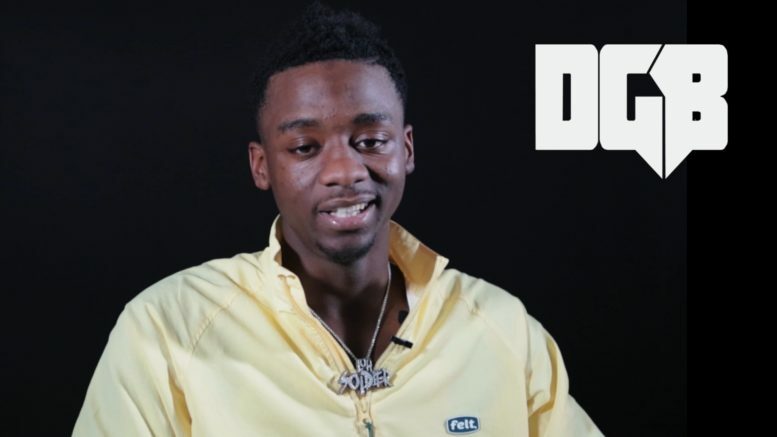 During our discussion we talked to the 19-year old about his upbringing in Birmingham, being compared to Soulja Slim, not letting anybody listen to him rap until last year, making music that is relatable, why he chose to sign with Cinematic Records, his new tape “Soldier Mentality”, the music scene in Birmingham, his goals for 2019 and more. Be the first to comment on "Exclusive: Luh Soldier Talks Soulja Slim Comparisons + New Album"